Be the Raindrop that Quenches their Thirst! Hassan Foundation is always working to bring relief to people. Stay up to date on all current Hassan Foundation Projects and Events by visiting our Facebook page. 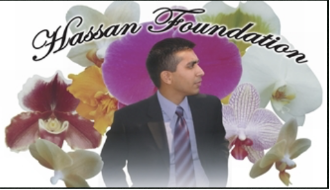 Check out photos from past Hassan Foundation Projects by clicking here. Click here for up to date events in the Detroit Area. Creating a healthy prosperous society through provision of clean, safe water, and support for education. Provide clean drinking water close to home, support education, orphans, and disaster relief. Create awareness & find locally effective solutions to the water crisis in Pakistan. Promote, enhance education in general, and vocational training in particular. According to the UN, a child dies from a water related disease every 15 seconds.